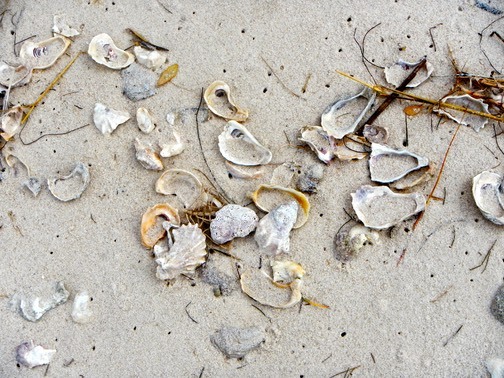 In the case of Florida's shell mounds, we are looking at the debris of a thousand years of human occupation; The accumulated shell waste of generations of coastal indians forraging for food. Getting There: From Cedar Key, trace CR 24 back toward US19. At the intersection of CR24 and CR347 turn left. Follow CR347 north for three to four miles. At the intersection of CR347 and CR326, turn left again. Follow CR326 west to a dead end – about three miles. You will enter Shell Mound County Park, Levy County. There you will find a large dirt and gravel boat launch. Also, if you should need to stay, the county has camping at this location. 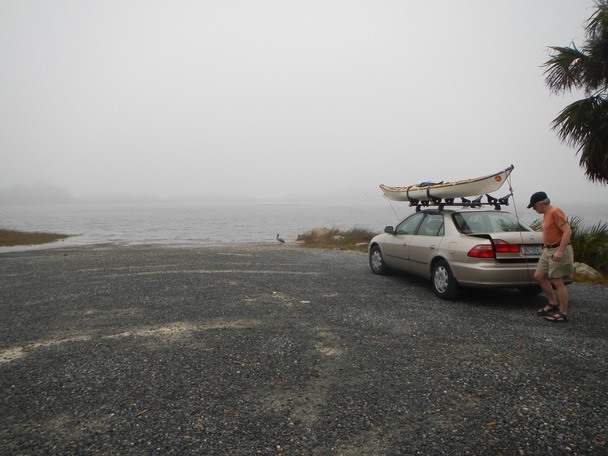 We arrived at the launch point in cool, overcast, foggy weather. 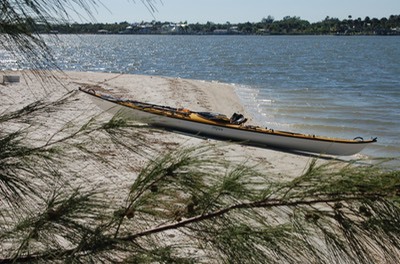 The launch lies behind Hog Island, and while Gulf tides are not high, water levels at this location seemed low. We launched and paddled southwest toward McClamory Key, occasionally bottoming out, picking our way into deeper Gulf water. We passed McClamory Key along its northwest side and headed for Derrick Key where we considered making a stop. 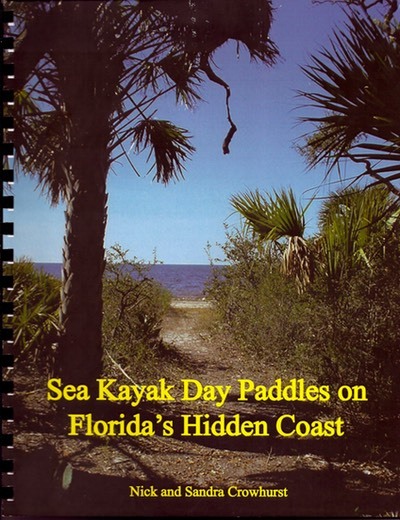 Our route as shown on this map from Sea Kayak Day Paddles on Florida's Hidden Coast, Page 11. 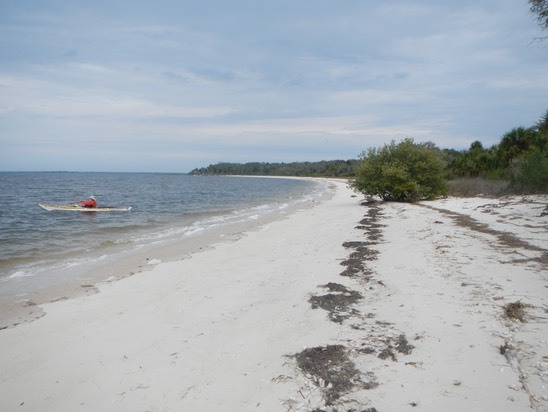 As we approached we saw a vast undulating swath of white on a sandbar connected to the key. A large flock of Great White Pelicans was resting on the sandbar. If you have not seen endangered Great White Pelicans before, it is an awesome sight! They are enormous compared to their smaller Brown Pelican cousins. A Great White Pelican’s wings can span more than eleven feet. 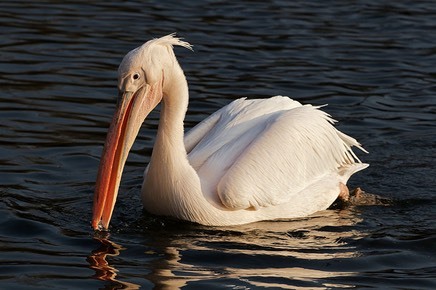 See Great White Pelican, Wikipedia . Unlike their smaller brown brothers, Great White Pelicans do not dive from the air to catch their food. Hunting in groups, they swim forming a horseshoe, dipping their beaks in the water and scooping up prey fish as they go. We lingered in the area for some time, keeping a respectful distance so as not to disturb the birds as we observed them. 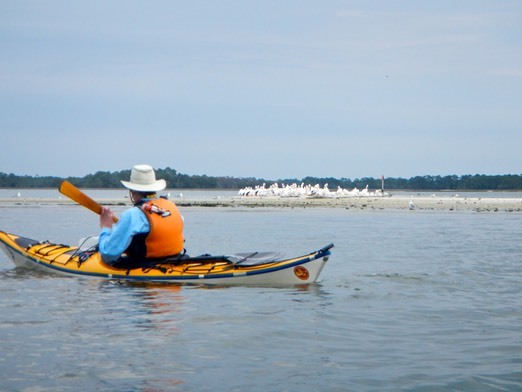 Throughout the rest of our paddle, we saw massive flocks of Great White Pelicans, flying in V formation like Canada Geese, crisscrossing the sky. From Derrick Key we headed north past the west side of Hog Island, and around the outside of two unnamed islands sitting west of Buck Island. 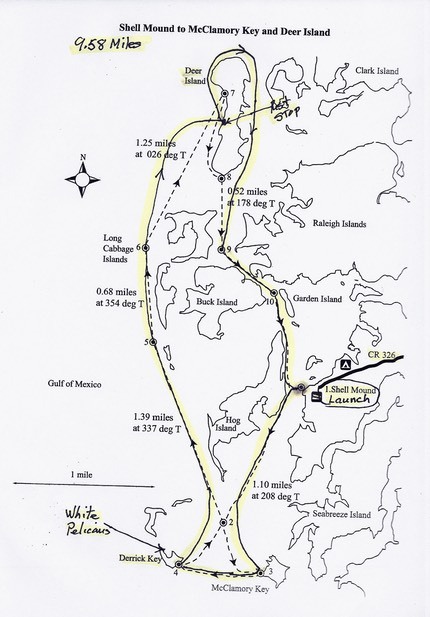 Our goal was Deer Island, which was to our northeast. However, the wind had increased to such a degree that it was easier to continue due north directly into the headwind, rather than taking the wind and waves on our front port quarter. Eventually we made a ninety-degree turn and headed directly for the western shore of Deer Island. We landed close to dead center along the beach, went ashore, hydrated, snacked and relieved ourselves before doing a bit of exploring. Paddling off of the beach at Deer Island, we headed north again. 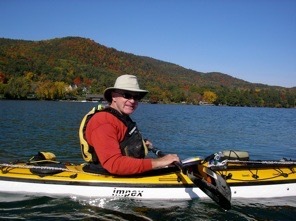 Rounding the island’s north end, we paddled south along its eastern shore. With Deer Island behind us, we continued south toward the partially hidden north end of Buck Island. At Buck, we wound our way through the narrow passage between Buck and Raleigh Islands, heading for Garden Island. From Garden Island our route took us along the east side of Hog island and back to our launch point. This was an OK paddle. The launch site, although shallow when we were there, was large, not busy and easily accessed. Had the day been sunnier with less wind we might have enjoyed ourselves more. We might have seen more marine life and more bird varieties. But we didn’t. The Great White Pelicans provided the highlight of this trip. They were spectacular and unusual.